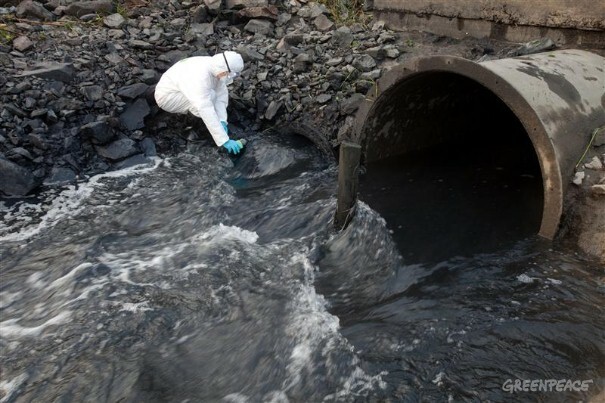 Why is Water Pollution an issue? Water is an inevitable necessity in our lives. We use it for many different reasons whether it’s to drinking, showering, or even watering agriculture. However, since the dawn of industrial progression in our society, we’ve become blindsided to the effects and destruction of our water ways. In a report by the United Nations, only one in nine people have access to clean water. Water pollution has not only destroyed aquatic life, and other habitats of species, it is slowly affecting public health as well. Just as humans depend on water, so do other living organisms. Problems surface around waterways when human development, and infrastructure interfere with the ability of species to successfully reproduce and survive around them. The Natural Resources and Defense Council attributes water pollution to the lack of protection and proper management of our water systems. Industrial plants, and factory farms all can contribute to the chemical, and toxic runoff that flows in our rivers, and lakes . Even the trash that is left in our roads, can flow into water drains that connect straight to our water ways. One species in particular, the Chinook Salmon in California, has been affected by this. Due to water pollution, and other studies on invasive species, this prized fish species is no longer a commodity for fisheries. The population decline of Salmon in California has even led to some being listed on the Endangered Species Act, according to the NRDC . Contaminated water systems not only destroy our ecosystems, but it is also one of the biggest health risks known to humans . 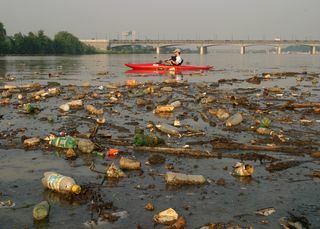 Many of the toxins human produce, can flow into our waterways we use to drink, and fish out of. On the east coast of the United States, the Chesapeake Bay is the largest watershed that connects to many of the North Atlantic water ways. According to the Chesapeake Bay Program, this watershed accounts for 75% of America’s commercial fish, and other various economical factors for the millions of people who live around it. With 6 states, including the District of Columbia thriving off of it, it is being attacked by human related pollutants. The Chesapeake Bay Program has found that three-quarters of the Chesapeake is affected by chemical pollutants. Pesticides, pharmaceuticals, and metals are the cause of this. Due to this, contaminated fish eaten by humans is becoming a serious problem affecting the health of millions.